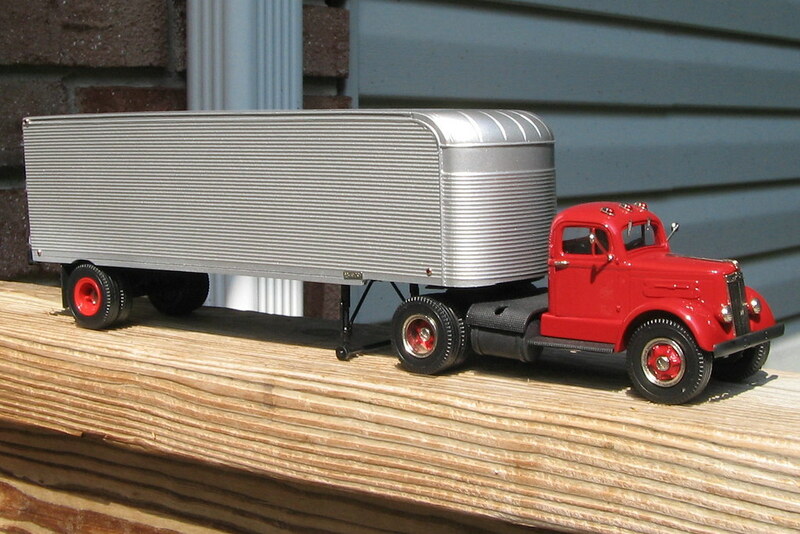 Brooklin makes a series of vintage trucks and trailers in 1/43 scale. They're sold not as Brooklins but as US Model Mint. I've had this old White and Fruehauf for many years but they're still available. This is trucking like I remember it as a boy except the trucks were never this clean. The truck is very similar to some I've seen at some recent antique truck shows.